San Diego, one of the most visited cities in the United States. With the lovely mild climate, beautiful beaches and fun attractions, how can it not be? However, being the most visited means lots of people! 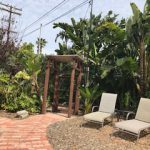 If you’re looking for a quieter town, but still want fun attractions and beautiful beaches in the same area, then how about staying in Carlsbad? 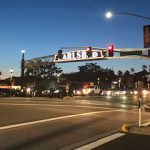 Let me tell you, Carlsbad is The Great Village by The Sea! Located in Northern San Diego County, this town sits on a 7 mile stretch of the Pacific coastline. 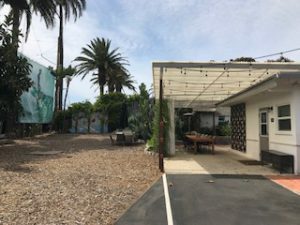 Just 35 miles north of San Diego and 87 miles south of Los Angeles, if you happen to visit both destinations, then Carlsbad is a great stop over for an afternoon or weekend! 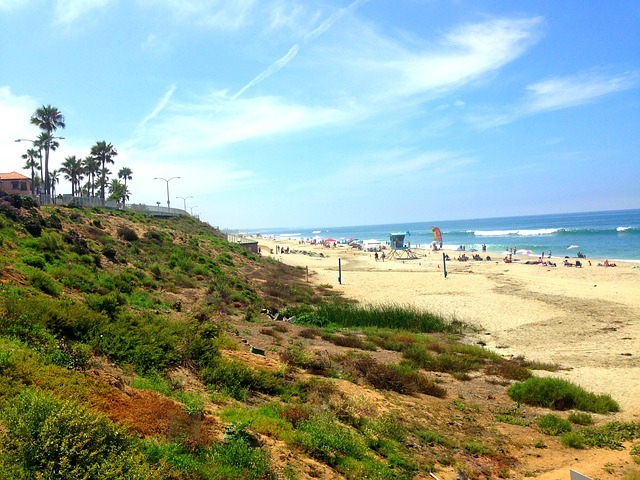 Carlsbad, named by locals “The Village by the Sea” and it truly is! 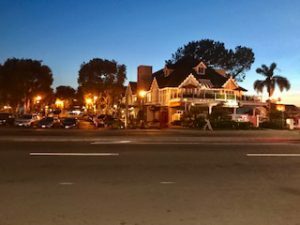 There are amazing restaurants, fantastic breweries and great gift shops on Carlsbad Village Drive and the beach is only a block away! Just park your car and take a walk. There’s something for everyone to enjoy! Not enough fun? Then drive a few miles south and you’ll find lots more! 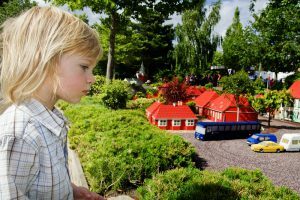 If you have little ones, they’ll enjoy Legoland California. 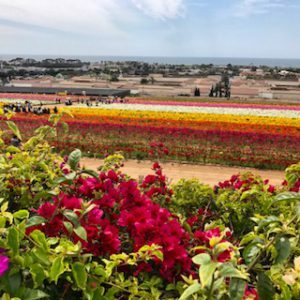 If you enjoy strolling amongst beautiful flowers, then take a stroll through the Carlsbad Flower Fields. Itching to shop? Right next to the Flower Fields is the Carlsbad Premium Outlets. More than 90 shops to check out! If you’re into museums, guess what? There’s the Museum of Making Music right up the street. You can spend a whole weekend all in the same area! You may be thinking that this all looks great, but I don’t have a lot of money to spend. You’re right, most of these attractions can cost you. 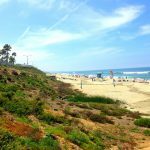 So, if you’re looking to not spend and since Carlsbad is on the Pacific coastline, then hit the beach instead! 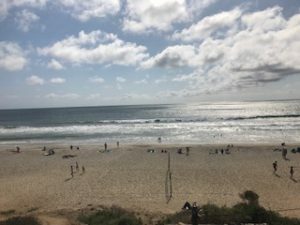 Carlsbad Beaches are amongst the most beautiful in California and Carlsbad State Beach, also known as Tamarack State Beach is the most popular with families. You can sunbathe, surf, swim, scuba dive, kayak, windsurf, fish. Practically everything can be done here. Check out other gorgeous beaches in the area, like Terramar Beach, which is smaller and popular with the local surfers. 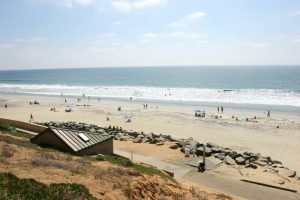 If you’re looking to camp, then head to South Carlsbad State Beach. Perfect beach to sleep under the stars. South Point Beach is a special spot for families. Known to be the widest beach in the county. Very popular, partially due to the public restrooms and showers, which is hard to find at some these beaches. 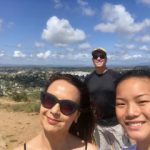 If soaking up the sun at the beach isn’t your thing, not to worry, there are amazing hiking trails in the area and it doesn’t cost a thing! Of course, it’s my family’s favorite thing to do! I’ll be doing a separate blog on a great hike we did on our visit, but I’ll go ahead and mention a few popular hikes right now. 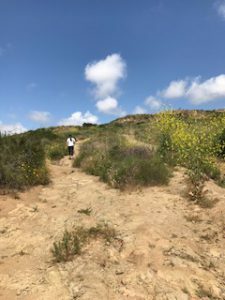 These trails in Carlsbad are scenic, easy and ideal for families. Carlsbad Coastal Rail trail is one of them. A 1.4 mile out and back easy walk, taking you through wild flowers and is dog friendly. 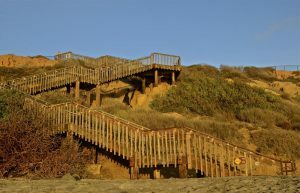 South Carlsbad State Beach trail is a 3.9 mile hike and good for all skill levels. 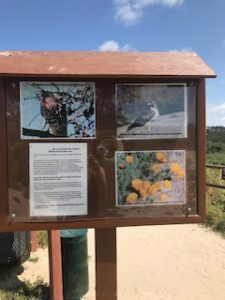 Another very popular one is the Batiquitos Lagoon Trail. It’s busier, but still an easy 3.2 mile out and back hike. 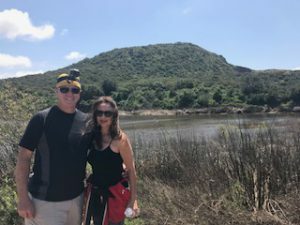 Our hike at Lake Calavera is a moderate hike. It’s inland, but what a hike! I can’t wait to share with you all the details! There are lots of lodging choices in Carlsbad, from high end hotels to boutique Inns. 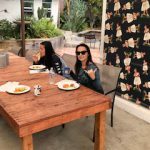 We decided to bring our dog, so we chose to book a Airbnb rental. There are great houses to rent in this area. 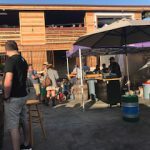 We were lucky to find an amazing property just 2 blocks from the beach and a block away from the village. 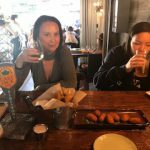 We walked everywhere and we able to take our dog to some of the eateries. Carlsbad is a very dog friendly village, yay! There’s a train station that stops in the middle of town, too. 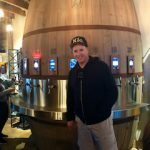 So, you don’t even have to drive to Carlsbad! That’s reason enough for you to visit Carlsbad, right? What are you waiting for you? Make your summer plans now! 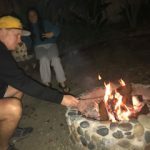 You’ll love Carlsbad, I promise! Legoland – located at 1 Legoland Drive, Carlsbad CA 92008. 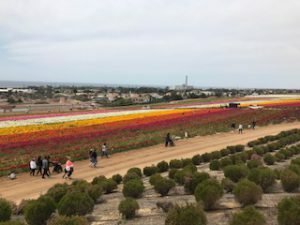 Carlsbad Flower Fields – located at 5704 Paseo Del Norte Carlsbad, CA 92008. 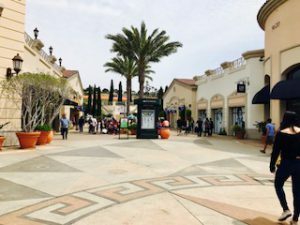 Carlsbad Premium Outlet – located at 5620 Paseo Del Norte, Carlsbad, CA 92008.